As part of the 50th anniversary celebrations of the London Film-makers’ Co-operative (LFMC), this film programme, which opens Tate Modern’s Counter-Histories series, explores the unique contribution of the women filmmakers associated with the LFMC to both experimental and feminist film. This presentation of more than forty films—both single screen and expanded—by twenty-five filmmakers from different generations, aims to reveal the breadth and diversity of these women’s practices while attempting to foreground commonalities in their approach to filmmaking and to the ways in which film can intersect with feminism. The LFMC was an artist-led organisation that, from the mid-1960s to the mid-1990s, anchored a vibrant filmmaking community operating independently from the commercial industry. This alternative movement quickly became associated with a mode of filmmaking characterized by a hands-on exploration of the structural and material properties of film, often to lay bare and counteract the ideological conditions of film viewing. 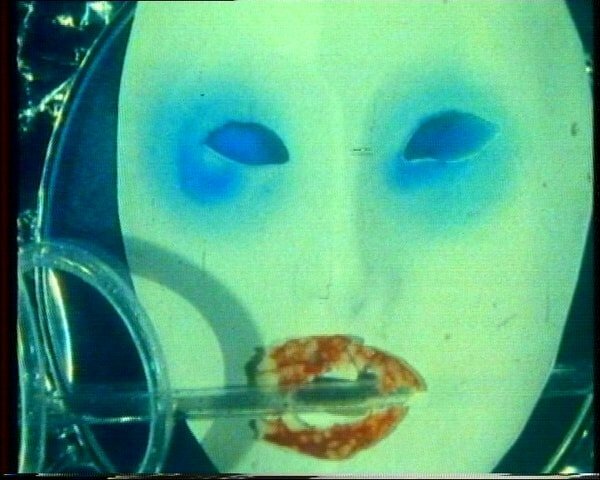 Stemming from this context of material experimentation at the LFMC, the women filmmakers featured in this programme maintained an acute awareness of the politics of representation and a constant commitment to experimenting with the language of cinema. However, as the title From Reel to Real suggests, while they built on the methods, processes and ethos associated with the LFMC, they always did so to address the world outside the projection room – to express something of their subjectivity and respond to pressing social and political issues around them. In addition to having expanded the scope of experimental film practice at the LFMC, these films also pushed the boundaries of what feminist cinema could be. In comparison to the clear activism or the theoretical didacticism of the most visible feminist films of the time, these women filmmakers opposed the open-endedness of artistic expression, embedding a certain sense of uncertainty and experimentation in the process of making. Through an engagement with the formal, material and affective qualities of film, the filmmakers hoped to give voice to submerged aspects of women’s experience and to emancipate the image, the feminine subject and the body from the colonizing forces of patriarchal culture. Screenings can be booked individually £8 / £6 concessions. A series ticket for all seven screenings (£35 / £24.50 concessions) is available and can be booked by tel + 44 (0)20 7887 8888 or in person. The screening is followed by a discussion with Nina Danino, Jean Matthee, Jayne Parker and Alia Syed, moderated by the series curator Maud Jacquin. The screening is followed by a discussion with Nina Danino, Jean Matthee and Ruth Novazcek, moderated by María Palacios Cruz, curator and Deputy Director of LUX. The screening is followed by a discussion with Gill Eatherley, Jeanette Iljon, Sarah Pucill and Vicky Smith, moderated by Felicity Sparrow, former LFMC distribution worker and co-founder of Circles. The screening is followed by a discussion with Jayne Parker, Tanya Syed and Cordelia Swann, moderated by Cécile Chich, independent researcher and former board member of LFMC/LUX. The screening is followed by a discussion with Susan Stein, Alia Syed and Anna Thew, moderated by Lucy Reynolds, lecturer, artist and curator in artists’ moving image. The screening is followed by a discussion with Joanna Davis, Vanda Carter and Sarah Wood, artist filmmaker and co-founder of Club des Femmes, moderated by Lucy Reynolds. There is a prologue to this screening series at Tate Britain on 19 September. Please find more information here.